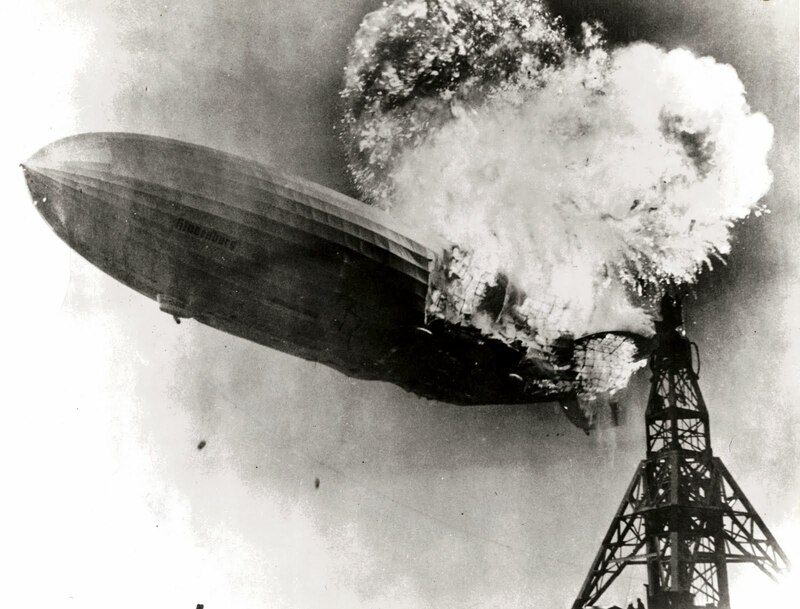 The Screaming Pope: "Oh, the Humanity"
Herb Morrison was the radio announcer who famously reported the explosion of the LZ129 Hindenburg zeppelin as it arrived in Lakehurst, New Jersey on May 6, 1937 from Frankfurt. As the floating palace burst into flame, the reportage of the initial docking turned to hysteria, culminating in Morrison’s famous tragic cry: “Oh, the humanity…This is the worst thing I’ve ever witnessed.” In our day and age there is rarely the same time frame and choreography in the relating of horrendous events. When you read about the spate of terrorist bombings in France and Belgium the element of repose is missing. The Hindenburg was a graceful expression of human aspiration, suddenly turned into a nightmare death ship. But an airport today is an otherwise harmless place in which thousands of flights take off with little drama at all. No one marvels at man being destroyed by the objects of his own invention, as they did in the case of the Hindenberg, since modern air travel has been turned into an effortless event that few people think twice about. Airplane travel is taken for granted just like so many other aspects of modern existence with the internet of everything and other buzz words defining a new age of self-reliant appliances that so noiselessly go about their business that you don’t even know they're there. When the carpet is pulled out from under in today's world, the tragedy is all retrospective, as a safe and secure world which never really was a source of admiration is surgically removed, along with a good number of its inhabitants. 36 people were killed in the explosion of the Hindenburg and approximately 30 initially by the terrorists at the Brussels airport. But the similarity ends there. The former was a tragedy created by those who soared too high and the latter by an impulse that has yet to be adequately parsed and understood, but that would simply eradicate everything in its path.